Financial Crimes Investigations Division (FCID) has accused the Attorney General of adopting a sluggish attitude in directing the division on how to proceed with certain vital cases concerning former President Mahinda Rajapaksa and his associates. According to highly placed sources closely connected to the FCID, apart from coming under pressure from powerful quarters, the FCID is also compelled to ‘sit and wait’ because despite referring certain cases to the AG, they are yet to receive instructions on how to proceed. 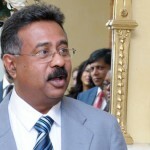 Chief among these cases is the investigation into the purchase of the Mariott Hotel in Dubai by Nandana Lokuwithana, a very close associate of Rajapaksa’s. “Due to the Attorney General’s delay, even the FCID is unable to take any action,” sources said. In recent months, Lokuwithana has become a close associate of a top minister in the Maithripala Sirisena – Ranil Wickremesinghe government. “This association can also be one reason why no action is being taken against him,” a source said. Incidentally this development also comes amidst reports that the FCID has become virtually defunct. However, the Sri Lanka Police has denied these reports and have claimed that investigations by the FCID is being carried out successfully and that an additional team of police officers including several ASPs were assigned to strengthen the Division. 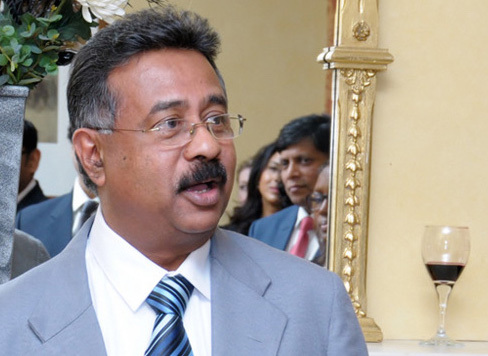 Lokuwithana, is a Dubai based Sri Lankan businessman, and an alleged front man of Rajapaksa’s. While in power, it is reported that Rajapaksa had invested heavily on properties in Dubai through Lokuwithana, who reportedly hails from Nattandiya, and was introduced to Rajapaksa by his one-time loyalist, Sajin Vass Gunawardena. Lokuwithana bought the Ceylon Heavy Industries and Construction company (CHICO) (former Ceylon Steel Corporation) for US$ 77 million at the invitation of the Rajapaksa regime. In the Panama Papers, Lokuwithana was identified with connection to an entity by the name of ‘Nilona Fashions’ which was incorporated in December 2000 and is within the jurisdiction of Seychelles, incidentally another hotspot where the Rajapaksa’s are alleged to have hidden their assets. However with the change of government in 2015, Lokuwithana became close with certain ministers including Minister of Development Strategies and International Trade Malik Samarawickrama and also invested in the tyre factory in Horana, for which Prime Minister Ranil Wickremesinghe laid the foundation stone earlier. It was reported that Samarawickrama, had bypassed regulations to get cabinet approval for the tyre factory in favour of Lokuwithana.